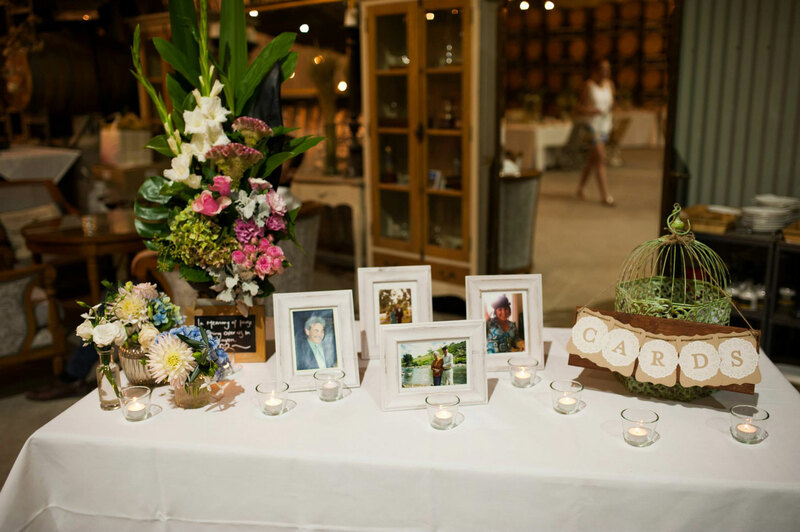 Making items for the wedding décor is a great place to start to add your personal touch to your wedding day. Savvy brides are making or decorating their own table centerpieces, place settings, hung or draped decorations, and bonbonnieres. 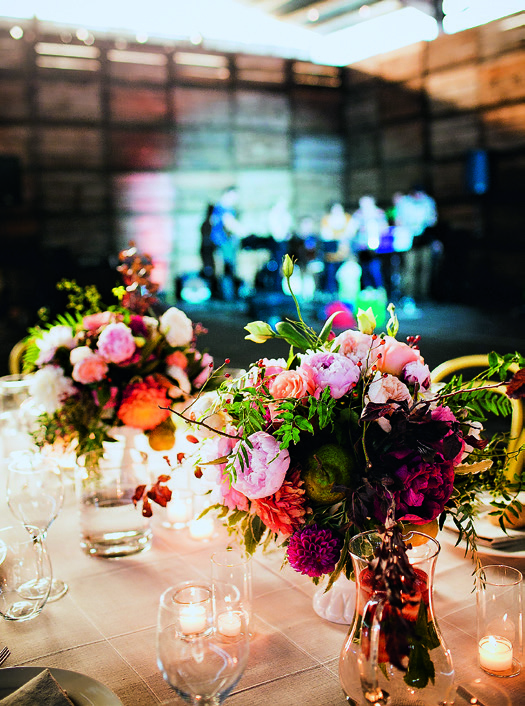 Flowers for the wedding décor needn’t break the budget, if sensible decisions are made. Most people have a relative or friend with a small supply of home-grown flowers, and using these will save money. The flowers will be seasonal and may span a variety of hues – but this will bring character to the tables. Fill a selection of glass jars with the flowers, then wrap pre-loved fabrics or hessian around the centre, tie some ribbons around this, and perhaps finish off with a sparkly embellishment. Love Katie + Sarah Photography. Writing a quote or message on a blackboard is one way to set the scene on the big day. 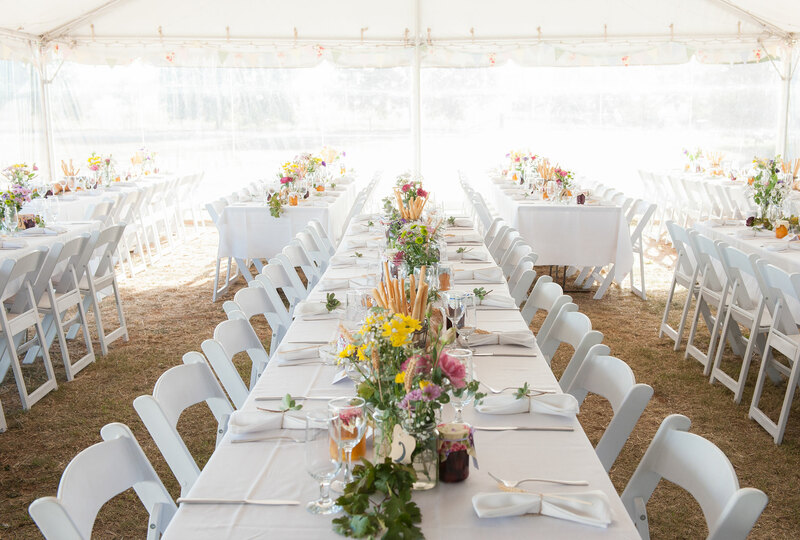 The board could be placed on a cake table, or surrounded with other props (such as tea light candles in a large holder, vases of wildflowers and large photo frames all painted in the same colour), to make a decorative scene. 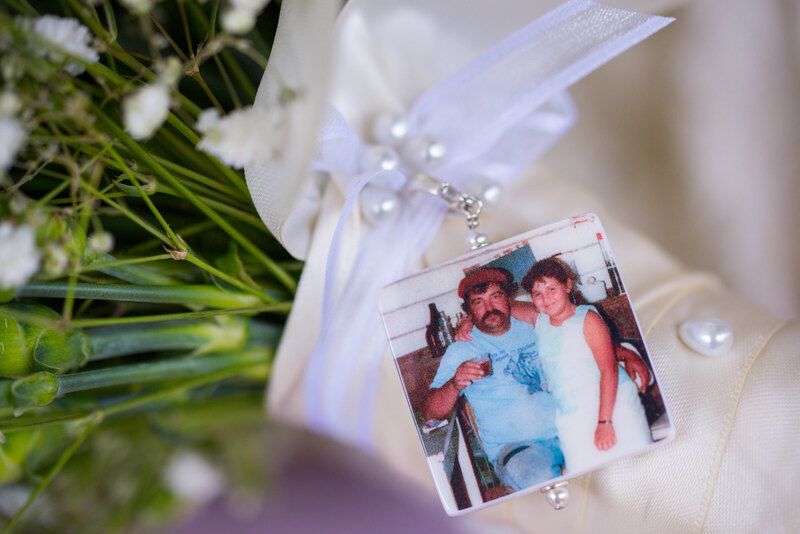 Add an extra personal touch by attaching a brooch that has been in the family, or a small photograph of a dearly departed loved one, to the bridal bouquet. Hand-make the napkin holders using pre-loved fabrics or hessian and assorted ribbons, then attach a large button, some beads, an old brooch or other embellishments to it.